Vidya Balan, star of upcoming film Tumhari Sulu, schooled a reporter who asked her if she 'plans to lose weight' in order to be cast in films that aren't 'women-centric.' Baffled? Vidya was too. Here's how the event unfolded on the red carpet of a magazine award show. A reporter asked Vidya, "Will you always pick women-centric films or have you thought about losing weight?" The Kahaani star was visibly shocked and asked how the two things are related, to which the reported added: "For glamorous roles." Vidya Balan laughed and said: "I'm very happy with the kind of work I'm doing but it would be really great if you people could change your mindset." Ironically, Vidya was asked this question at an event where she was among the 17 "Women of Worth" awardees. 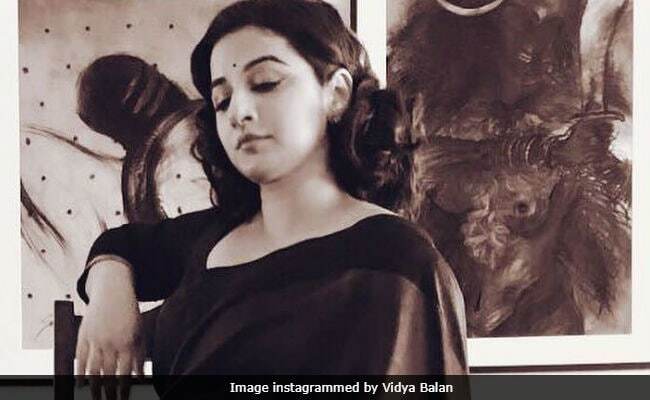 Vidya Balan, whose shape is often scrutinised and commented on, has addressed the matter of body-shaming in the past by talking about her personal experience. She earlier told Times Of India that she has always "been a fat child growing up." In 2008, she was told by her nutritionist that it was a medical condition which made it difficult for her to lose weight, after which she took medicines for weight loss. She discontinued the medication because of other health-related issues. Vidya Balan, who won a National Award for her role in The Dirty Picture in 2011, was last seen in Begum Jaan and before that in Kahaani 2: Durga Rani Singh. Her recent films such as Humari Adhuri Kahani, Ghanchakkar, Shaadi Ke Side Effects and Bobby Jasoos have failed at the box office but her upcoming film, Tumhari Sulu, promises to be a game-changer. In Tumhari Sulu, Vidya plays the role of Sulochana, a housewife-turned-RJ, who becomes immensely popular for her late night show 'Sari Waali Bhabhi.' How Sulu's new-found stardom affects her interpersonal relationships forms the film's plot. Tumhari Sulu also stars Neha Dhupia, Manav Kaul and RJ Malishka in pivotal roles and the Suresh Triveni-directed film will hit the screens on November 17.